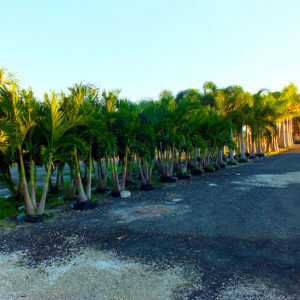 Areca palms are most commonly used as a screening material in both commercial and residential landscapes throughout Southwest Florida. They thrive in our warm tropical temperatures. Zone 10 and up. They can withstand zone 9b if they are close to the coast, river or a lake. We grow and supply container and field grown Arecas. The size you choose will depend upon your goals. Buy field grown materials and achieve an instant privacy hedge. Their moderate growth rate and drought tolerance are ideal during our dry season. 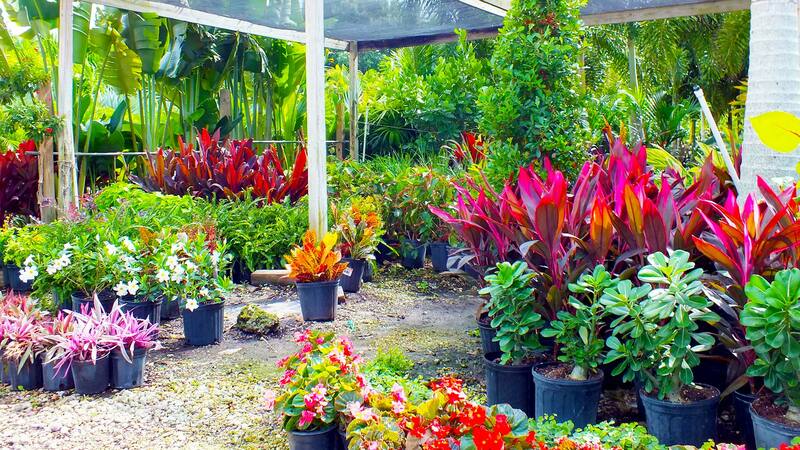 Call 239-362-4327 or stop by our nursery today. We're here to help. 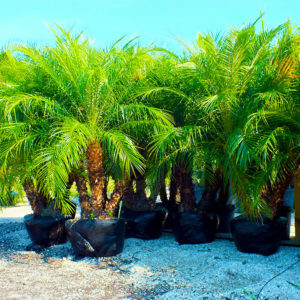 Adonidias, also known as Christmas palms, are one of the shorter varieties in the palm family. At Beltran's Nursery, you can buy singles, doubles and triples when they are at a minimum height of 8' in overall height. They'll grow to a maximum height of 25' when irrigated and fertilized consistently. Our year round sunshine provides maximum exposure to properties in Punta Gorda and Charlotte. Give your home's landscape the tropical look and feel you've always wanted. Choose and schedule you installation today by calling 239-362-4327! Foxtails have a richly colored green canopy that is full and bushy. The leaf scars are distinctly marked by a shiny copper band. As the tree grows and fronds are shed, they leave behind these beautiful glowing rings. Their ideal growing zone is 10b-11. Cold temperatures below 32 degrees for prolonged periods of time can cause damage, so consider your location before planting. Including these palms in landscapes near the coast in Punta Gorda on down to Pine Island is within their ideal location. 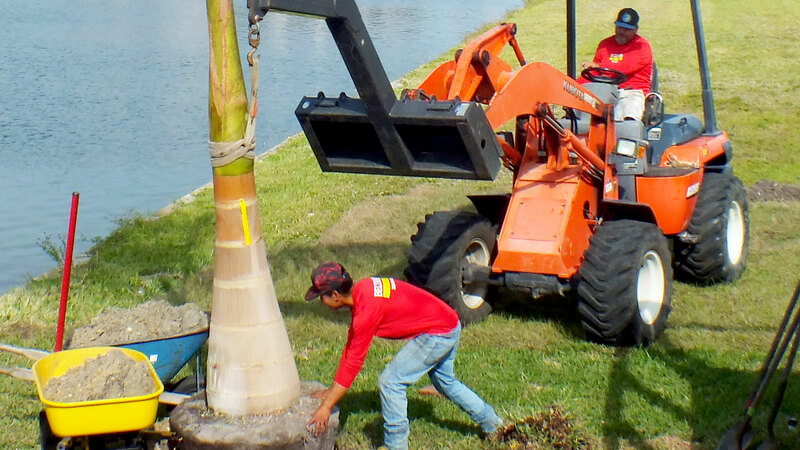 Beltran's nursery will dig, deliver and install this and other palms into your landscape. 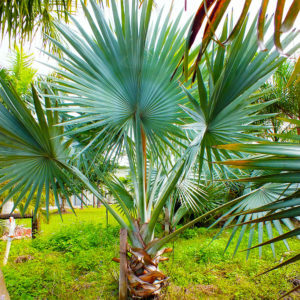 Silver Bismarckias are known as a fan palm. Their regal fronds extend outward from the center. The powder blue fronds have are notable as the silver shimmer which adds a distinct accent or focal point in your landscape. Maximum growth heights are 30'-50'. Once established, they are considered low maintenance. At the time of installation and during the first 3 months they require heavy irrigation. As long as it is well established, it can withstand colder temperatures than zone 10a-11 suggests. Be sure to provide plenty of planting space for their large root system and extravagant canopy. Contact us at 239-362-4327 to find out more about delivery and installation. Pygmy Date Palms are also known as a Phoenix Robelenii. They're a small palm that will only grow to 10' in overall height. 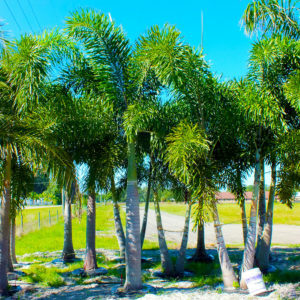 Their slow growth rate makes them ideal in tight spaces such as exterior alcoves or in between other larger palms within your landscape design. We grow them as singles, doubles and triples. Our team of experienced landscaping professionals will install them into your new or existing landscape. 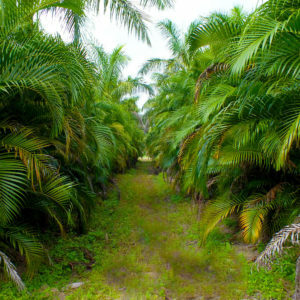 Known as one of the most cold hardy palms, they can withstand temperatures as low as 15 degrees Fahrenheit! Contact us today at 239-362-4327 or stop by our Taylor Road nursery to view our inventory and set up delivery and installation.